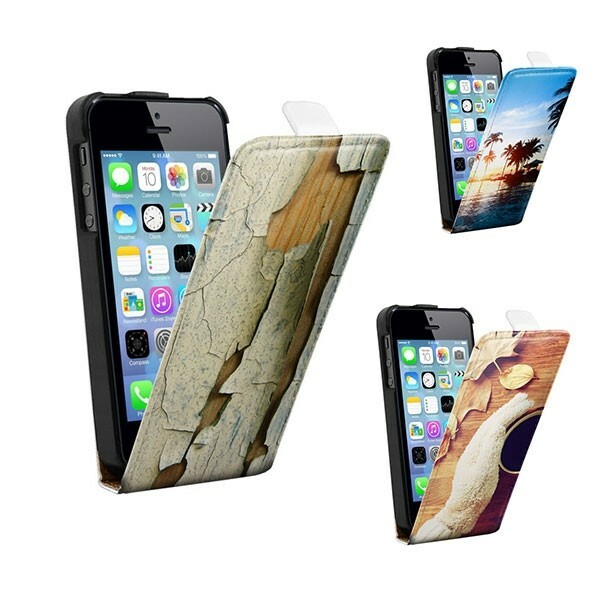 Protect your screen reliably with a custom flip case for your iPhone 5, 5S or SE. Your favourite photo printed on the front. Two colour choices for your case: black or white. Self made iPhone 5, 5S and SE flip case! 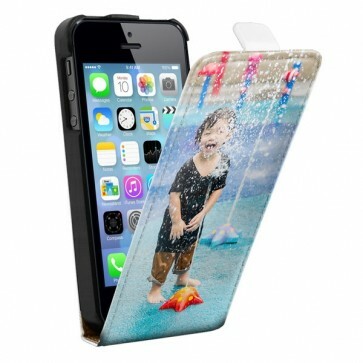 A flip case from GoCustomized will help to protect your entire iPhone 5, 5S or SE case. The front and back will be either white or black Skai leather. You can easily flip the front of the case open and shut thanks to the magnet. You can also add your own design to the front of the case. Your image will be printed directly onto the leather with a scratch resistant layer, this way you can enjoy your case for much longer. If you are looking for a different style of case, check out the wide selection of other personalised iPhone 5(S) and SE cases we have. Making your own iPhone 5, 5S or SE flip case. 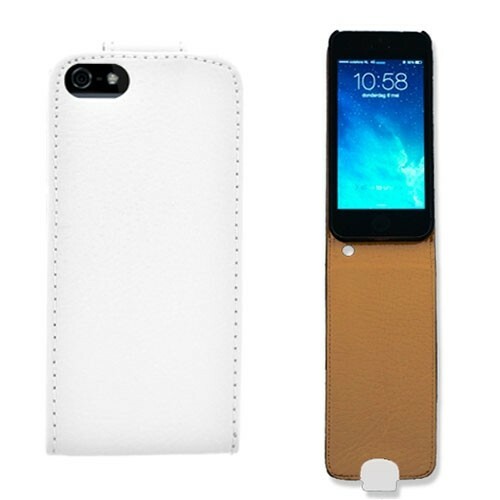 Designing an iPhone 5(S) and SE flip case with us is very easy. Once you select your case, you will be taken to our built-in design module. From here you can upload your image straight from Facebook, Instagram or from your PC. In addition, you can add a logo or text and change the size and colour of the text. Designing an iPhone 5(S) and SE flip case has been made really easy,when you continue you will be taken to a design program. From here you can upload your image straight from Facebook, Instagram or from your harddrive, you can also add a logo or text and change the size and colour.